Singapore-based mobile payment app SpherePay has teamed up with Chinese blockchain company TrueChain to bring cryptocurrency into a “real-life transactional experience” for users who own digital currency assets. The partnership comes with investment from TrueChain. The amount was not disclosed. Joseph Chen, co-founder and CEO of SpherePay, says this will be its “biggest partnership so far” and TrueChain will provide a “solid foundation” for its “large-scale virtual currency payment transactions”. SpherePay also hopes to go beyond South East Asia and claims it has already received inquiries from India, Sri Lanka, Middle East and Europe. TrueChain has developed its own public blockchain for commercial decentralised applications. This is based on a practical byzantine fault tolerance (PBFT) algorithm consensus protocol that provides peer-to-peer communication and smart contract infrastructure. For those unfamiliar with PBFT, this provides “high-performance byzantine state machine replication, processing thousands of requests per second with sub-millisecond increases in latency”. According to SpherePay, TrueChain not only provides a protocol for faster digital asset transfer, it breaks some limitations of PBFT blockchains. Earlier this month, SpherePay secured a partnership with Odyssey to spearhead its own cryptocurrency, SAY. The two firms will release four billion of its SAY tokens for sale. 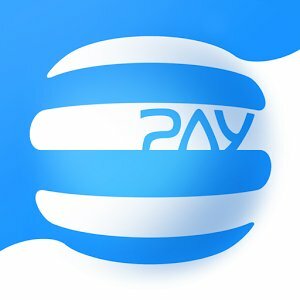 With this, SpherePay says it will be the first in the world to enable users to spend their cryptocurrencies such as Bitcoin, ETH, DASH, OCN, TRUE, SAY et al in “real-life at any merchants via ‘scan and pay’ method”. SpherePay has been developed by payments provider OPG Asia, a company founded in Singapore in 2017. Launched in Singapore in November 2017, SpherePay says it has five million users and over 10,000 merchants. It aims to acquire over ten million users in the region by the end of 2018.